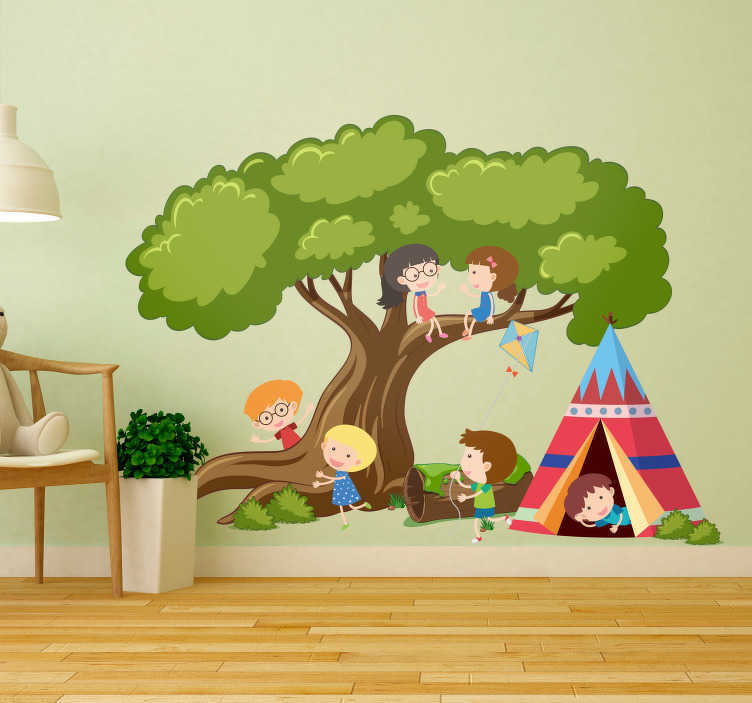 Decorate your home with this fantastic children´s wall sticker, depicting a group of children, gathered around a tree and a teepee! The teepee is a classic symbol of comfort and safety, hence it truly does deserve a place on your wall as a piece of bedroom decor! Choose your size and buy this illustration decal right now!